Saab plans a small family car | What Car? Saab is urgently looking to find a way of adding a small car to its range, says chief executive Jan Ake Jonsson. A small Saab to be called 9-1 or 9-2 and based on the latest Vauxhall Astra was part of the model plan when the Swedish car maker was owned by General Motors. However, for budgetary reasons it became a casualty after Saab was taken over by Spyker earlier this year. Jonsson has a different vision to that of GM, though. He envisages a car to take on the Audi A1, and wants it to be called the 9-1. He has no desire to also see a 9-2 to plug the gap between the 9-1 and the next 9-3. He believes the 2012 9-3 will be small enough to straddle two market sectors. 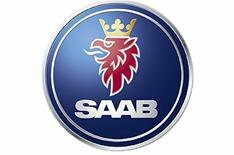 If a 9-1 is to become reality, Saab will need to find a partner to share the development and engineering costs, but Jonsson says that since the company split from GM there have been plenty of expressions of interest in co-operation deals. Jonsson did not rule out the possibility of letting someone else build the 9-1 for Saab.